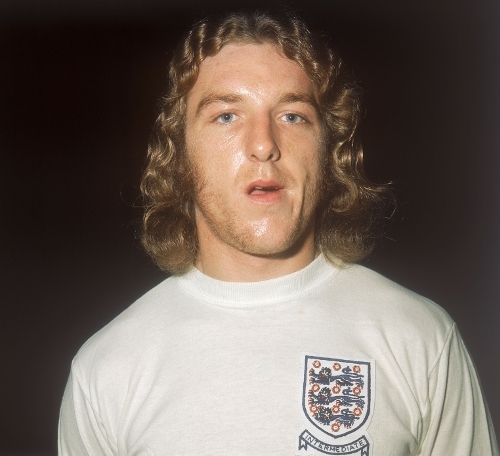 The campaign to raise funds for a statue of Blues legend Kevin Beattie has hit the £20,000 mark, while there is now a website on which you can track progress and read the latest news. Led by the EADT and Ipswich Star in conjunction with BBC Radio Suffolk and TWTD, The Beat Goes On was launched on December 18th last year on what would have been the Blues legend’s 65th birthday. The campaign aims to raise the £110,000 required for the statue and additional associated costs. Town season ticket holder Sean Hedges-Quinn, known as Coach, who sculpted the statues of Sir Alf Ramsey and Sir Bobby Robson, will be commissioned for the project with preliminary discussions regarding the design having already taken place. The statue is likely to be placed on the corner of Portman Road and the entrance to the Cattlemarket car park, diagonal to Sir Alf Ramsey and just along from Sir Bobby Robson. You can find The Beat Goes On campaign website here, while announcements regarding a number of fundraising events will be made in the coming weeks. Nice to have something positive going on at the football club. Does anybody know if the club itself has contributed to this so far? Good to see but am I alone in thinking this is happening rather slowly? Perhaps it could be coupled with a ticket promotion? A small reduction on ticket prices with the difference between usual full discounted price and actual ticket price going to the appeal? The biggest influx of money will come at the beginning. It will take years at this rate. I know many fans want to do it themselves but I do like the idea about about ticket promotions to help. Mmmmm... this is getting very annoying. Times are hard and folk are doing their best. It's great that ordinary supporters are chipping in. But what about our friendly corporate supporters? Our 'caring, sharing' players could have a whip-round and raise that money in minutes. Their wages, even at our level, are a whole world away from the rest of us. Same goes for our 'legends'. If all the Beat's ex-teammates stuck their hands in their back pockets, this money could have been raised months ago. Imagine if the players donated a weeks wages as way of apology for their performances this season? We could have a gold plated Kevin! Yeah right, that's going to happen. Re comments saying it will take years/most money will come in at the start, there haven't been any significant fundraising events up to now with a number planned, including some aimed at the corporate supporter, in the months to come. Some of you are missing the point of raising funds for the statue. Money isn't actually the issue at the moment. This is the fans statue for the fans and from the fans, not corporate statue for and from corporations. This is how the Beat would have wanted it, not that he'd have wanted a statue at all. We want it, we'll get it, we'll make it happen and appreciate it. Image if the money all came from the club and corporate - would we appreciate it and connect with it as much as if we put our hearts and souls into it? I'm sure the corporations will step in if not already, and so will the club, give it time though and let the fans show their appreciation first. Best way to do this.